In addition, we can even help with teeth grinding. Burwood residents can rest assured that we have the skills and experience to restore, rejuvenate, and maintain every aspect of your smile. The main emphasis at our Burwood dental centre is to encourage the very best long-term oral health and prevent problems. For patients, this entails attending a dental check up in Burwood on a regular basis. By doing so, our team can assess the condition of your teeth and gums and help you maintain your smile. While we’re committed to providing the highest standards of dental care, regular dental examinations also give you the opportunity to make informed treatment choices that are most suited to you. In addition, our Burwood family dentist will ensure your teeth and gums remain plaque and tartar free which is the key for preventing gum disease and tooth decay problems. Finally, any problems or issues that you might not notice at home can be spotted early and dealt with quickly, not only saving you time in the dentist’s chair but saving money on expensive treatments too. If you’re worried about attending a dental check up, Burwood residents shouldn’t be. We’d like to assure you that we’re well-versed in the art of gentle dentistry and of course, we’re here to help, not to judge. we’ll put the necessary processes in place to help you get the best out of your smile. One of the most common restorative dental procedures that our team carry out is tooth fillings. We use white composite fillings that are free from mercury. Composite tooth fillings provide good durability and are the ideal choice for those who prefer a more pleasing aesthetic look. In addition to filling a tooth, the composite material can be bonded to teeth to further protect enamel and can also be used to hide deep discolouration or minor chips. For those Burwood, Strathfield, and Ashfield residents who have missing teeth, the team at Dental spot also design and fabricate the very latest contemporary dentures. Burwood patients may be surprised to know that we have our very own dental lab on site. This means that our Burwood dentist can ensure that every detail of your full/partial denture is perfect in every way, right down to the exact colour matching of teeth and gums. 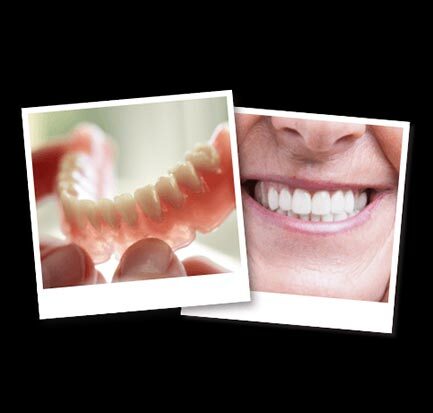 Our dentures are lightweight, long lasting, and above all, comfortable. In addition, we also carry out speedy 24-hour denture repairs and relines. To find out more, come and talk to the Dental Spot team. Just as for adults, we also offer full assessments of your child’s oral health and can give you all the education and tools necessary to help your child look after their teeth. All treatments such as cleaning, scaling and polishing, dental sealants, and fluoride treatments, are carried out in a gentle and fun way and we place great emphasis on making your child’s dental visit friendly and relaxed. Teeth grinding – otherwise known as Bruxism – is a very common problem that can cause severe damage to teeth. Sometimes patients don’t realise they grind their teeth until their dentist points it out during a dental checkup or their partner complains of being kept awake at night by the grinding noise. Often related to stress or anxiety, it’s common in both children and adults. Signs of bruxism can include worn or sensitive teeth, headaches, earache, and temporomandibular joint disorder (TMJD). In our Burwood dental clinic, our team can help patients with the right treatment for their bruxism condition and can also make bespoke mouthguards and splints to protect their teeth while sleeping. So, if you or a family member are experiencing problems with teeth grinding, then come and talk to us. If you need a dental check up in Burwood or are seeking a good dentist in Burwood for other forms of preventative and restorative dental care, then Burwood, Strathfield, and Ashfield residents will be pleased to know that our Burwood dental clinic prides itself on looking after your smile using the latest gentle dentistry methods. Contact us for further information by calling (02) 9158 6115 today.